After 3 days of fierce qualifications, 16 schools will take part in the final stages of the HydroContest on Thursday, in the two competition categories: “heavy boats” which simulate the displacement of a cargo ship with 200 kg ballast on board, and "light boats" which represent the transport of people on a pleasure craft with only 20 kg on board. The students worked day and night on their boats, but it was worthwhile. Three highly competitive qualification sessions took place from Monday to Wednesday and the teams were highly motivated. The Centrale Nantes team finally dominated after a good naval battle in the “Light Boat” category, taking first place with HEIG-VD. Fribourg won third place in this category, closely followed by Fribourg and EPFL, which will try to keep its title earned in the 2015 HydroContest. EPFL played to win on several fronts. 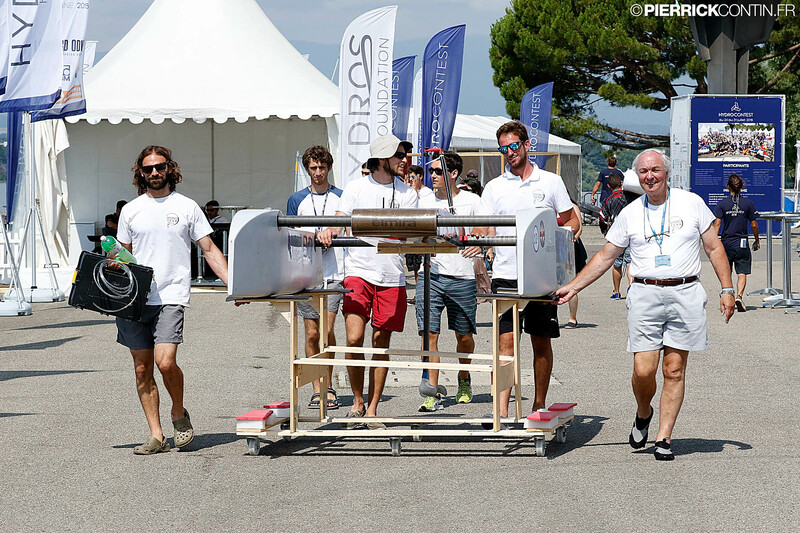 The Swiss team led the ranking in the “Heavy Boat” category, ahead of the Fribourg School of Engineering and Architecture by more than 20 seconds. ENSTA Brittany & Paris-La Villette completed the podium. The teams in the two categories are now ready for the final stages. “We saw a magnificent show and an amazing competition between these institutes and universities. I am always impressed by the teams’ work, but this year we’ve moved up a notch in terms of quality. I can only look forward to the next race!” said Jérémie Lagarrigue, CEO of the Hydros Foundation. Today 16 prestigious institutes will compete in each of the two categories, to qualify for the quarter- finals, semi-finals and final planned this weekend at Pyramides de Vidy. The “long distance” event will also take place next Sunday. The three days of the competition took place in perfect weather conditions, with very little wind and an ideal temperature. Some boats suffered slightly from the heat, but the majority of the prototypes sailed as planned. The summer temperatures also attracted public, highly interested in these qualification stages. Spectators were able to immerse themselves in the world of energy efficiency and Hydros at the exhibition about foils. They also enjoyed virtual reality activities.